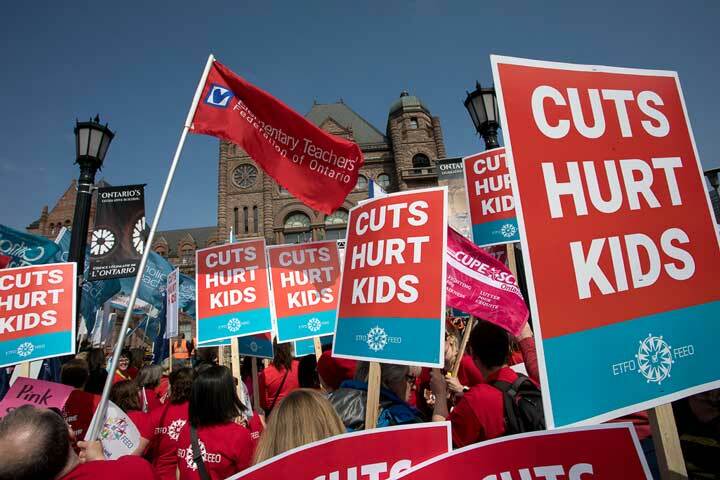 More than 30,000 educators, students and their supporters gathered at Queen’s Park April 6. 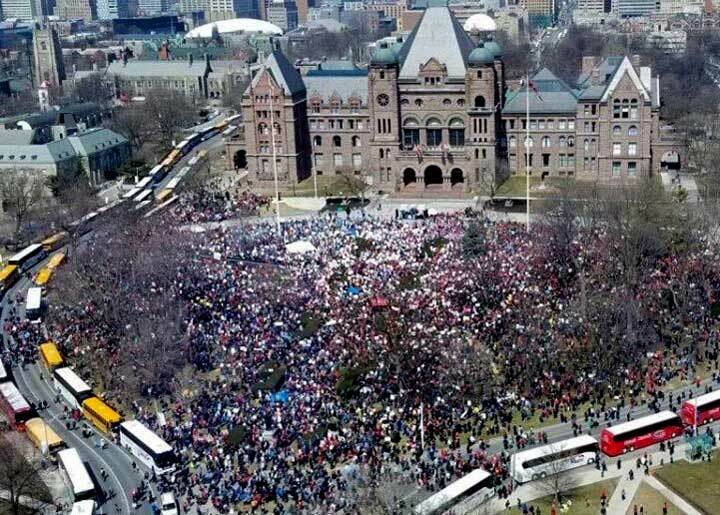 More than 30,000 protesters, some from as far away as Dryden, packed the lawn at Queen’s Park April 6 in a massive show of solidarity in the face of the Ford government’s education cutbacks. 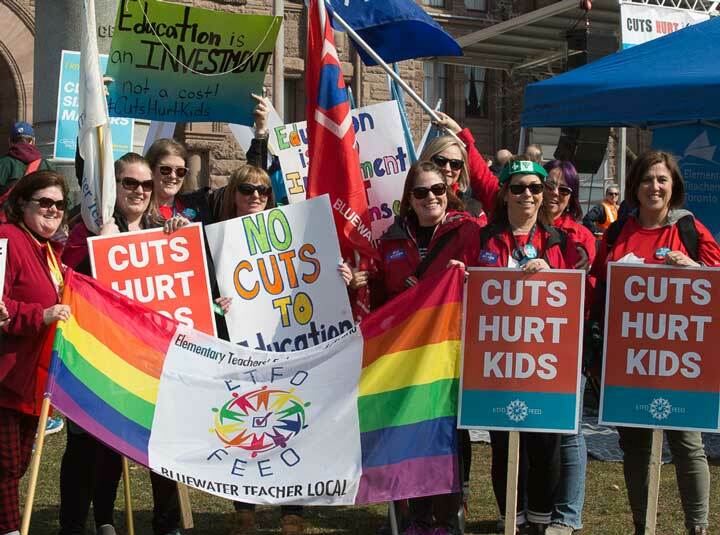 The Rally for Education was organized by five unions and the Ontario Federation of Labour. About 170 buses brought protesters from every part of the province to demand a stop to the cutbacks. 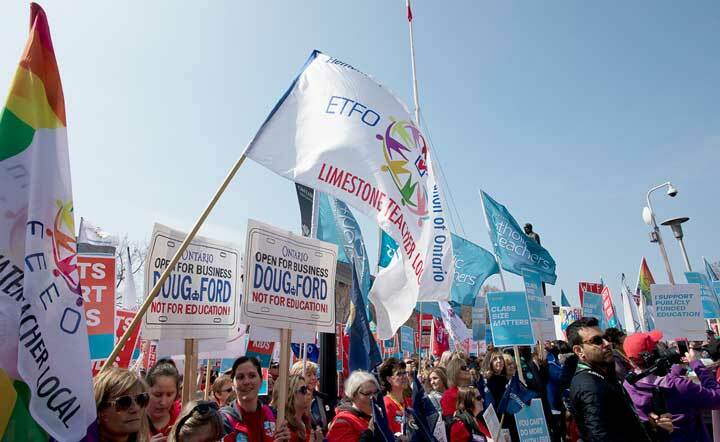 ETFO members from the Limestone teacher Local made their way to Toronto to attend the protest. Teachers from ETFO’s Bluewater Teacher Local showed their opposition to education cutbacks. Flags flew and signs were held high at the April 6 Rally for Education. Responding to claims by Premier Doug Ford and Education Minister Lisa Thompson that unions were behind the student walkout that occurred two days earlier, Hammond said the students showed that Ontario’s future was in good hands, according to a Canadian Press report. “I honestly do not understand how anyone can read about what’s happening and think that it’s a good idea,” art teacher Marissa White of Kitchener told CBC News. Guidance Counsellor Ross Newhook from Mississauga told CBC News that mental health supports for students would suffer as a result of the cutbacks. “We’re seeing such a tremendous increase in mental health issues right now, and that’s all going to be downloaded to classroom teachers who — with an increased class size — don’t have the capacity to deal with that,” he said. Follow the links to read reports on the demonstration from the Toronto Star and CBC News.